World-class hotel excellence in the heart of downtown Halifax. Experience the sophistication and charm of The Prince George Hotel, from the moment you arrive to the time you checkout, you'll love our Four Diamond service and impeccably appointed accommodations. Our 200+ stylish guestrooms and suites feature contemporary design and luxe amenities for an unparalleled hotel experience that will please even the most discerning of travellers. 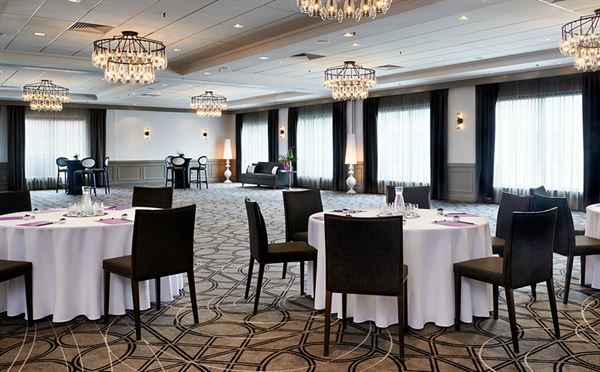 If you're looking to hold your next corporate function, business meeting or social gathering in downtown Halifax, our 7,400 square feet of flexible meeting space is perfect for any event, from high-profile group conferences to intimate wedding receptions. Please see attachment for menu options.